This year’s Monsters volume is running a little closer to Christmas, but it is on its way! 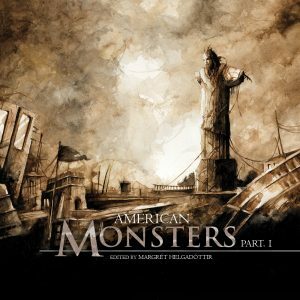 American Monsters Part 1, a collection of stories from South and Central America, including a number of translations, artwork and once again Daniele Serra’s stunning cover art! So without further ado, the cover! And a reminder of those … Continue reading "Cover Reveal! Monsters"